This 3/2/2 in West Houston, but zoned to Katy ISD, had a lot of deferred maintenance when we met the homeowner. The AC unit no longer worked, the exterior siding, roof and fencing of the home was in severe disrepair. Plumbing problems with the toilets had caused damage to the drywall and woodwork surrounding them. The front door was part door, part plywood. But we saw the gem in the rough on this one. We were able to acquire the home at the seller’s desired price and began rehabbing it immediately after closing. We cleared the home and then replaced the roof, all exterior siding, soffit, fascia, fencing, the HVAC units, the home’s ductwork, the garage door and opener, and gave it all a fresh coat of paint. On the inside, we solved the plumbing issues and installed new flooring, granite counters, did new tub surrounds, painted the entire home, replaced all the lighting and door fixtures and added cabinet hardware to give it a touch of class. The end result was stellar, and we had the home up for sale within six weeks of purchasing it. 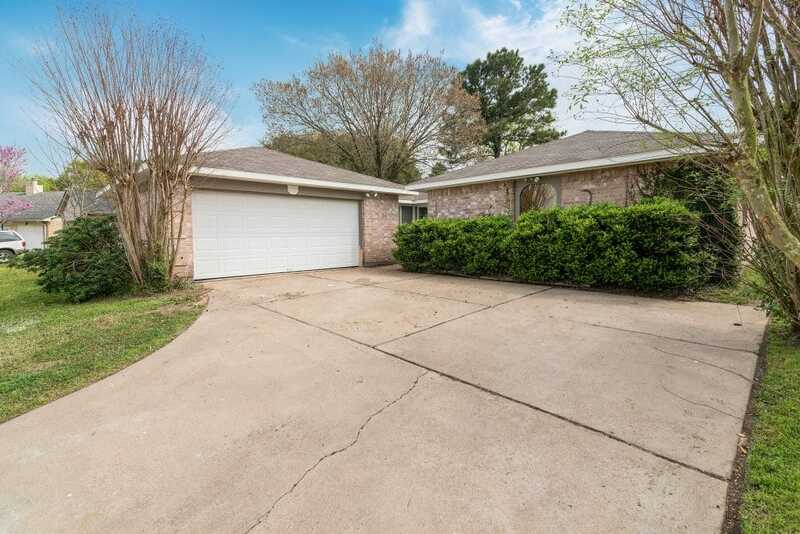 This home was listed for sale on 3/13/19. It went under contract on 3/29/19. Selling agent = Buying Katy.